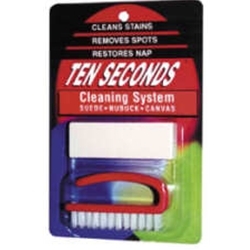 Cleans stubborn stains and spots. Restores original luster to suede, nubuck, canvas and more. Not just for shoes! Removes crayon marks from painted walls and removes heel marks from floors. Use on shoes, boots, coats and luggage.